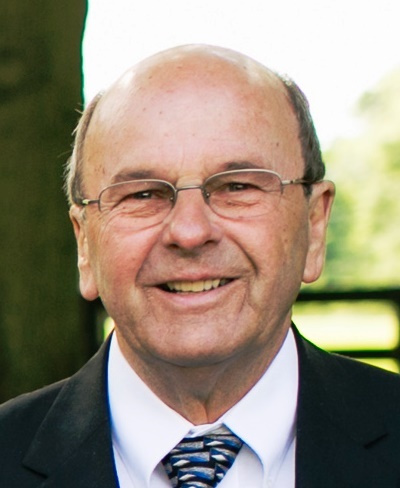 Barry Len Brewer, age 67, passed away on Sunday May 20, 2018 in Louisville Ky. He was born in Mt. Sterling KY on March 30, 1951 to the late Andrew "Junior" Jackson Brewer and Reba Fox Brewer. He was retired from MSU, where he worked as the post master. After retirement, he began working at Lowe's in Mt. Sterling. Barry was an avid basketball player in high school for Julian Reese Cunningham. He ran Cross Country and Track. Barry enjoyed coaching little league basketball. He was a constant presence at Bath County athletic events and other activities while his nephews were in school. He was also an avid wood worker. Barry was a gentle soul with a kind and calm demeanor. He was always upbeat. He was always a giver - of his time, resources and love. All around, Barry was a good person and very easy going. He enjoyed traveling, eating out, woodworking, and spending time with his family. Most of all, he loved pulling pranks on those he loved. Simply put - he was one of the good guys. He will be missed by so many. He leaves behind to cherish his memory, his loving wife of 46 1/2 years, "Beverly" Jo Brewer; One brother, Larry Dale (Louise) Brewer of Dry Ridge; Mother in Law, Maxine Wright of Salt Lick; Brother in Law, Roy A. (Nina) Wright of Salt Lick; Two Nephews, Jason Allen Wright of Lexington, Joey (Erin) Wright of Louisville; Two Nieces, Jennifer Brewer of Murray and Keri Brewer of Owingsville; Several Great Nieces and Nephews, Hannah Wright and Gabriel Wright of Lexington, Jackson Cain and Annabelle Cain of Murray, Makennah Grace Brewer of Owingsville and Lincoln Brent Willis of Owingsville. Also survived a sister in law Sharon Brewer of Owingsville. He was preceded in death by his parents, Andrew "Junior" Jackson Brewer and Reba Fox Brewer; Two brothers, Kerry Steve Brewer and Leonard Ray Brewer; His Father in Law, Billy Joe Wright. Visitation will be held Tuesday May 22, 2018 at 5:00 p.m. at the Richardson Funeral Home. Funeral Service will be held Wednesday May 23, 2018 at 10:30 a.m. at the Richardson Funeral Home will burial to follow in the Jones Cemetery. CASA of Lexington (Court Appointed Special Advocates) which uses trained and supervised volunteers as advocates through the family court system to ensure that all victims of child abuse and neglect are provided a safe and permanent home. His nephew Jason serves on the board of directors.